The WCI Network all together in one podcast episode! We answer as many of your questions as we could get to. From random ones like bone in or boneless wings to more financial related ones like what is the recommended net worth allocation for a high income professional? Passive Income M.D. addresses the question of buying a REIT vs buying a rental property and shares lots of wisdom about investing in real estate. Physician on Fire tackles questions like what advice would he give docs that are considering FIRE without the supplemental blog income? And can doctors really retire early without a side gig? This episode is entertaining and informative. You can listen to the podcast here or it is available via the traditional podcast outlets, ITunes, Overcast, Acast, Stitcher, Google Play. Or ask Alexa to play it for you. Enjoy! [00:00:21] This podcast is sponsored by Nomad Health. 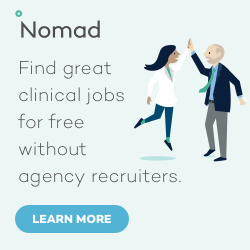 Nomad is a fast, easy, online way to find great doctor and nurse jobs. Looking for a freelance locums gig? Come to Nomad! Looking for a new full time job? Come to Nomad! Looking for a travel nursing job? Come to Nomad! And best of all, there are no brokers. It’s all online, self-service, and totally transparent. No more phone calls and spam emails from agency recruiters. You can check out Nomad at nomadhealth.com. [00:48:16] “What is a simple plan or path that we can all follow to invest in real estate? Make sure you join the Passive Income MD Facebook group and the Physician on Fire Facebook group if you are a physician. The WCI Facebook group is open to all high income professionals. WCI: [00:00:21] Welcome to podcast number 67 an interview a physician on fire and passive income MD. Today’s podcast is sponsored by Nomad health. Nomad is a fast easy online way to find great doctor and nurse jobs. Looking for a freelance locum’s gig. Come to nomad! Looking for a new full time job? Come to nomad! Looking for a travel nursing job? Come to nomad! And best of all there are no brokers. It’s all online self-service and totally transparent. No more phone calls and spam e-mails from agency recruiters. You can check out Nomad at nomad health dot com. WCI: [00:00:53] Thank you so much for what you do. I know you’re probably on your way into work your way home from work maybe you’re jogging or doing chores around the house as you listen to this but I want you to know that your work matters and you probably don’t get thanked as often as you should be. So I want to be the first to say thank you for the time and dedication you put into your career. For all the time you’re willing to be on call and work at night and holidays and weekends and evenings. It really is a special thing you’re doing. WCI: [00:01:19] We’re going to be having couple of my favorite people on this episode. 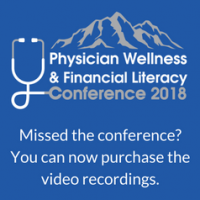 The physician on fire and passive income M.D. I think both of them are kind of gradually coming out of the closet as far as who they are and becoming a little bit more well-known rather than anonymous people on the Internet. But I think in today’s episode we’re going to be just referring to them as physician on fire and passive income MD. We’ve got passive income MD coming from the west coast and it turns out that the physician on fire is a little backwoods cabin up in Michigan. Unfortunately that affected a little bit of his sound quality during this interview. We’ve cleaned it up as much as we can. We’ve had to cut a little bit out of it. So bear with us when he’s given some of his answers and know that we did all we could improve that sound quality. WCI: [00:02:29] OK we’ve got a special podcast today. I’ve got both passive income M.D and the physician on fire with me today and we are going to be doing nothing today but answering your questions. We’ve had dozens of questions submitted over Twitter and in our various Facebook groups as well as on the white coat Investor Forum and we’re planning on getting to these as many as we can today and maybe we’ll have to have a part two get so many of these questions. But I think this is going to be a lot of fun a really enjoyable episode. WCI: [00:02:57] If you’re not familiar with these two guys you need to become familiar with them. Passive income M.D is probably the most popular physicians specific blog out there focused on passive income, real estate ventures, et cetera. So if you haven’t check that out be sure to look at passive income MD dot com. Likewise with physician on fire. That’s a play on the words financial independence retire early. That is a great place to go to learn more about how you too can retire early or at least become financially independent and get the freedom that comes with that legendary status of your finances. Passive Income M.D. and physician on fire welcome to the show. PoF: [00:03:41] Thank you very much. I’m excited to be here recording with you once again. And I know we’ve gotten a lot of questions like you said and I think really a lot of fun to dig into these. PIMD: [00:03:49] Yeah. Thanks for having us. WCI: [00:03:51] Before we get too far into it, passive income M.D, let’s have you give us just a little update on what’s going on in your life and with your Web site. PIMD: [00:04:01] It’s been exciting last couple of months. By the time this thing airs I’ll have come out public so that’s kind of a little bit of a scary but exciting venture for me. I think the reasons why I’m doing so will be explained pretty well in the blog. And I hope that it’s received well. PoF: [00:04:20] Cool. I’m excited and look forward to reading that one. And I’m not really doing the reveal post that I believe passive income M.D is planning but I’m slowly letting my my name and face appear in different places online so it will be subtle but if you go to my site right now you’ll see my smiling face and FinCon speaker ad. So it’s a little bit at a time. WCI: [00:04:44] Cool. Well let’s get into the question. So the first one that came in on the white coat Investor Forum was from Coard McNally, bone in our boneless wings? PoF: [00:04:53] I’ll go first. You know wings are wings that have bones in them they don’t work as wings if they don’t. And so if I’m going to have chicken wings they’re going to be bone in and you know you’re not fooling me with the you know the chopped up chicken breast in the squares and calling that a boneless wing No no thanks. Oh no breading that’s too much carb. PIMD: [00:05:18] Yeah. Yeah. All natural too. I like the bone in, no breaded. I Like to hold my wings there and yeah that’s only way I’ll do it. How about you Jim? WCI: [00:05:28] I think I prefer the bone in as well. So that’s that’s a unanimous vote there. Let’s move on to a little more relevant question to this financial podcast. How about this one. Do you feel you’re helping your co-workers to better handle their finances? I think they’re talking about the people you interact with at the hospital. PoF: [00:05:52] I do a little bit. Having been largely anonymous not everyone knows that I’m all that savvy with money although they do know that I’m going to be retiring early and I’m in a financial position to do so. So I guess they do have some sense of that and there are a couple coworkers that have come to me with specific questions about taxable accounts and tax loss harvesting and I can talk them through that but until my persona is known and people know about the website I guess I haven’t really pointed them to specific posts on my site but I have pointed them to both white coat investor and passive income MD. WCI: [00:06:29] Hey that’s what I like to see a little bit of cross promotion there. PIMD: [00:06:33] Yeah I’ve done the same. I mean I’ve been anonymous so I pretty much refer people to your guys site. I felt kind of weird sending people to my site anonymously. So. But I will when I get there in the hospital especially when I’m around residents and fellows we often have these financial talks so sometimes my co-workers are around and so they hear and kind of get engaged and hopefully that’s my way of spreading the word about passive income and just working on your finances as a physician. WCI: [00:07:01] Let’s go on to another one of Hatton ones questions. She also asked when did you realize you had a better understanding of finances than the average doc? PoF: [00:07:13] For me I guess in medical school I wrote a book that helped kind of set the tone and that was the only investment guide will ever need. And once I finished residency I saw a lot of docs spending a whole bunch of money and buying life insurance, the whole life that is and doing things that I knew weren’t necessarily a great idea. So probably I would say it was shortly after residency when I saw some of my friends and colleagues making financial mistakes that I knew to avoid. WCI: [00:07:47] How about you Passive Income MD? PIMD: [00:07:53] For Me a couple of years after being an attending. When I started getting into real estate. And you know that that’s really changed my mindset about where I wanted what my finances to be. And it’s also my career. I started asking people in the hospital what they were doing and really most people had no idea they really didn’t have any answers. PIMD: [00:08:13] I said What are you doing for your finances? 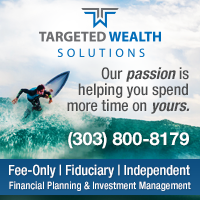 Are you using financial adviser? Or you know looking into real estate? other sources of income? And honestly I found so few people that were actually doing it and I realized wow I was the only one doing this stuff, except for a few people that I did find and you know we got together and ultimately honestly we formed a group and hopefully we’ll talk about that a little later. 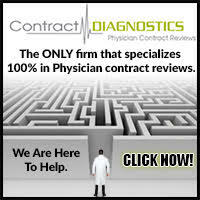 There’s only a small subset of physicians that are actually interested in this whole subject. PoF: [00:08:39] It is a bummer that such a taboo topic to really talk about. We all make plenty of money. We should feel comfortable talking and speaking freely you know behind closed doors at least about this stuff. WCI: [00:08:49] Yeah you know for me it was very early on and it was very early in my financial education process. You know I had my first financial book I read toward the end of my intern year and within a few months I think I knew more than the average doc. I mean it really is such a low bar to get over to know more than the average doc about finances that you know it doesn’t take very long once you start showing any interest at all. WCI: [00:09:13] But I can remember distinctly teaching other residents in my residency about finances. And you know very shortly thereafter other attendings that were just absolutely clueless about it. PoF: [00:09:23] And I think we are raising the bar though and we have you to thank Jim for starting starting us down this path. You know I learned quite a bit from your sites before I started mine. WCI: [00:09:32] Well good I was glad to be helpful obviously for everybody you know. OK let’s move on to a question from vagabondM.D. If you lost your current M.D. job would you seek a new one? You want to take this one first PIMD? PIMD: [00:09:50] I actually want to hear what physician on fire has to say. But for me I would definitely find another job. I still find a lot of enjoyment in it and I don’t want to give it up completely. Especially at this point it’s way too early for that for me. So I would definitely go out seek another job but Id be very very specific as to what I’m looking for and I definitely wouldn’t settle. PoF: [00:10:16] For me I bet you you guys could guess the answer but I would say no I would not look for another job. I hit financial independence About three years ago now. And yeah. And we’re in a good position. And yeah I lost my job. I would not be looking. But I do plan on working part time and actually time a little bit here over the next year or so. WCI: [00:10:40] And I understand that’s to cover one of our military members that’s out serving you’re kind of backfilling for him as I understand. PoF: [00:10:47] That is correct. One of our one of my colleagues is heading to the Middle East for four months so from November to February I’ll be working full time. WCI: [00:10:55] Well thank you for your service. In my case I like to think I would go get another physician job. obviously I don’t need it at this point but I do enjoy practicing. The problem is I have a unicorn job. It’s awesome. I have a great job a great group of people. The pace isn’t too bad. I’m not working nights I’m working about 8 8 hour shifts a month now. I mean it’s an incredible job and so it feels like any other job I took would be a significant step downward. WCI: [00:11:28] And so I think I would hesitate at least a little bit before doing that. I would certainly take some time off. I don’t know three months six months maybe a year even that would allow me to do some stuff that maybe I can’t do just because I got to get my shifts in every month but I’m not ready to be done with medicine. I expect will be practicing medicine in some form for the next 10 to 20 years. WCI: [00:11:50] All right. Let’s move on to another question here. Also from vagabondM.D. on the white coat investor forum. If your three blogs and connected social media empire did not exist what would be your go to resources for up to date, accurate and easily digested personal finance information. PoF: [00:12:12] That’s a good question and I guess I’ll go back to what I was looking at before I discovered white coat investor and before I started my own blog. I was on Bogle heads quite a bit and learned from the Forum and the wiki there. I read some other blogs like well Mr. Money Mustache. I wouldn’t say that’s maybe a go to resource for accurate personal finance information although in some ways it is. There are so many other sites you know besides that we have ours that are blogs that are great and then you’ve got sites like Morningstar, maybe Kiplinger’s, got money magazine. You know you’re getting personal finance for maybe not getting heavy duty investing information there but personal finance comes as a pretty wide space and there’s a ton of places. How about you PIMD? What would your go resource be? PIMD: [00:13:02] You know it’s funny before I started my blog. 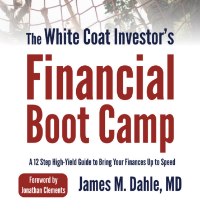 I didn’t read a lot of other personal finance blogs besides you know once in a while Look at the white coat investor and when yours came on the scene I started reading that. PIMD: [00:13:15] But I think the only other one that I kind of looked at was bigger pockets .com especially because it’s real estate related. It’s not personal finance per se. That’s the only other site that I use to really get a lot of information about passive income. I was on the forums there. And besides that probably once in a while on CNN Money and that’s about it. WCI: [00:13:35] You know I’m Bogle heads I’d have to name. I mean I was the eighth most prolific poster on that before I started the white coat investor. So for sure that’s a great resource if you’ve never checked out the Bogle heads forim. 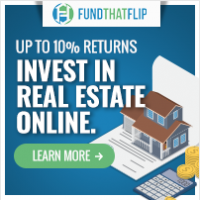 It is the largest and most top notch highest quality investing forum on the planet. So I’d highly recommend that. But truthfully I think rather than go into the Internet or worse radio and TV, I think the best place to go to get good investing information even if maybe not up to date, is the library. I really think books are the best way to learn about investing. Because here’s the idea, even inherit in that question, What’s your most best place for up to date information. You don’t need up to date information. You know the principles of investing are the same five or ten years ago as they are today. So this idea that you need absolutely current information. I think you know maybe with regard to the tax code but that’s about it. I think and so I’d recommend you hit the recommended bookless you know on good blogs and forums. 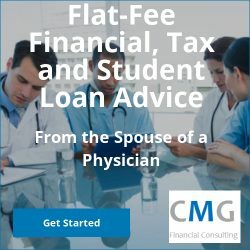 In addition you know as I noted in a post I ran recently shoot there’s another 50 active physician financial blogs out there. So I guess if ours didn’t exist I’d check out some of those you know. But that’s where I’d go. PoF: [00:14:51] All right. You’ll like this Jim, let me just interject quick. So today we biked from our cabin here in Northern Michigan into the public library five miles away and took our kids with me. And then I jogged back but we go to a library several times a week I would say no matter where we are. WCI: [00:15:10] Yeah I think the library is great. All right. Here’s one more from vagabondM.D. who incidentally I think is going for the record for most podcast and guest post appearances on physician financial blogs without starting a blog himself. WCI: [00:15:24] But he asked if your child were going into medicine and asked advice. What field did choose where would you steer him or her? PoF: [00:15:33] Passive income MD you want tell us what you think? PIMD: [00:15:40] Yeah I think choosing your field is so oh man it’s so specific to the person and what you’re looking for and what your goals are in life. I mean if if lifestyle is a concern and I obviously noted that they they they love the freedom and they love to Yeah that they weren’t 100 percent into their career of course I’d have them choose one of the more lifestyle specialties and I think they’re still out there. I mean anesthesia, emergency medicine. We’re both. We’re all in this field. Even ophthalmology. WCI: [00:16:12] Yeah we never work nights or weekends or holidays all really lifestyle special?! PIMD: [00:16:18] Well you can choose that’s the cool thing right. You’ve done it today to create your career. I think it’s much harder for someone you know like a surgeon who is like a brand. Right. And they they need to be there for their patients at all times. I mean for us luckily in some ways we’re all interchangeable so that’s allowed for, Ultimately if you have other sources of income and that sort of thing can actually create the type of life and career that you want. And yeah I mean that’s probably one of those I probably have them go into. How about you guys? PoF: [00:16:47] I would choose anesthesia again if I were to do it again. But I can’t see that it would be necessarily what my child would choose. So I would just tell them to go into third and fourth year, third year in particular of medical school with an open mind. And you know when I went in I thought maybe I do pediatric you know and. Ended up. Trying anaesthesia and thought I would not and I loved it. So it just got to keep an open mind. WCI: [00:17:14] I think that is a very real question for me. I’ve got two kids that are talking about medical school. And so you know one of them says he wants to be an emergency Doc and become the white coat investor. So I’m not sure how seriously to take him. But the other one’s been talking about medicine for quite a few years and she’s already 14 so this may very well be a conversation we have. WCI: [00:17:33] And I think the first point is do you talk him out of medicine at all. 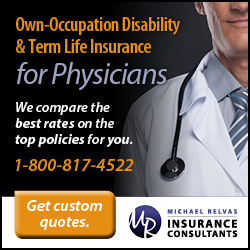 You know rather than just out of specialty or into a certain specialty. 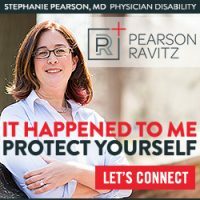 I know there’s a lot of doctors out there that would they just see all the downsides of medicine and all the hassles that are there now with the EMRS and all the government regulation and all that kind of stuff and they literally would encourage your children not to go into medicine. I don’t think I feel that way. I think it’s a great career. I think it’s a wonderful profession. You still make pretty darn good money that if you manage it well you can become financially independent very quickly with nothing but your medical income. So I think I would be encouraging my kids to go into medicine. But I do like the fact that some of these shifts specialties have allowed me to pursue other interests and I think are easier to mold your life around as your as your desires and what you want to do with your life changes through the years. You know you can cut back and raise kids or drop your nightshifts or you know start a business on the side or whatever. I think a lot more easily with shiftwork specialties and you can with others. That said if you hated emergency medicine I would not do it just for the shift work. You’ve got to love the medicine first and foremost. PoF: [00:18:45] Definitely. I would I would have a problem with such a day surgery center Earlier in my career if I could go back and redo that. But I’m happy with the way things have gone. But 12 13 year career good enough for me. WCI: [00:19:03] Truly the physician on fire. All right. Next question comes from I don’t even know how to pronounce it Saji mon from the forum and this one is specifically for passive income M.D says, I’m interested in starting a real estate investment club with other physicians. Do you recommend partnerships and how do you go about doing this? PIMD: [00:19:23] Well I can speak out of experience. I think I mentioned before that when I started learning about real estate investments I was on fire and I was trying to find you know anybody in the hospital any other physicians who were doing these kinds of things and luckily I did find a very very small subset of people doing it. And the cool thing is that I was an ENT surgeon, one was a plastic surgeon, a couple other anesthesiologists and an internist. And we started getting together actually as a group and there was 10 of us and we started doing this on maybe like once a month and we you know throughout that process we actually found that deal. We all wanted to jump in. So we all got together and signed the paperwork and formed a group. The deal fell through and which is fine actually I think it was the best thing for us because all these life changes happen all of a sudden and we all had different plans in mind and goals. And next thing you knew we stopped meeting. So I’m actually I actually think the best thing that happened was that the deal fell through. The best part of the whole thing was that we actually got together. PIMD: [00:20:28] We all started learning the ones that actually wanted to learn more actually branched off from there and continued on just like nice path and a bunch of us have you know rental properties. A few of the people that actually weren’t that interested actually fell off. And so I do think it’s a great idea to get together with other physicians to talk about it to learn this sort of thing and I would absolutely recommend that. As for trying to go into business together. I think that’s a totally different thing. And I think I wrote a post on it something about going to a business with friends. You definitely have to be very very careful. Make sure you’re obviously do it right. You know you’re totally aligned. You do the paperwork right. And these kinds of things so it’s a specific situation I can’t always recommend it. WCI: [00:21:12] OK. Next question. This one is for both of you but not for me apparently because I’ve written about it before but this question was How do you tackle finances with your wives? I think they’re getting to you know how do you get on the same page with your partner is basically the question being asked here. PoF: [00:21:31] Great question. My wife and I. I guess I handle the finances in general. I do the investing and pay bills and earn the money my wife stays home with our kids for the most part. She has done some substitute teaching that sort of thing. But I keep her very much informed as to where we are. We both know what we spend because we’re on mint dot come once a week. Just looking over the transactions. And I really like the idea although I haven’t done this and Jim I believe you had a guest post on this. But the idea of a monthly meeting where you review one’s finances and it’s not something we’ve done but I think if you’re on your path to financial independence and you’re starting out early you really want that same vision. It’s a great way to make that happen. PIMD: [00:22:22] Yeah my wife and my wife is also a physician and she also runs her own business as well. So we actually talk about finance quite a bit like on an overall level like how are our businesses doing these kind of things. I think I handle most of the investment side. And luckily she’s been super supportive. Basically she just told me just don’t lose money. That’s what she told me. So she’s give me a lot of freedom in terms of what type of investments to go and. 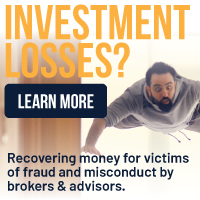 PoF: [00:22:50] That’s a difficult directive though not lose money! PIMD: [00:22:57] You got to give me time. That’s why I tell her. This is a long term game. So give me time I’m trying to be strategic and smart about it. PIMD: [00:23:04] I think overall as long as long as we win I think that’s what she cares about. But yeah I mean we. I’ll be honest we’re not super super tight with our budget. We don’t talk about it on a super regular basis. I handle pretty much all the accounts and watch over. She’s a you know she spends some money here and there but she also makes a good amount of money so she’s very smart about it and I trust her in that sense and she trusts me with that. And so I think that’s the most important thing. We know it can be kind of a source of marital discord or the number one cause of divorce. So I think we’ve been careful about how we deal with money and making sure we’re both on the same page. I want to hear about you Jim how do you do it? WCI: [00:23:46] You know I think I’ve written about this before but we actually have a monthly budget meeting and we go over all our expenses and you know and talk about where we want to invest the extra each month you know whether it’s going into the 529 or you know a 401k or rather into saving up for a house remodel or whatever so we’ve met once a month for our entire marriage. You know 19 years now we’ve got a spreadsheet for every month of our marriage and that’s worked for us. highly recommended if you’ve never tried it. Granted it’s got you know the law of diminishing returns applies to it. I think the first six months you do it are incredibly useful and then maybe not quite as useful to do it after that. But I do encourage anybody who has never sat down and actually looked where every penny is going to do it’s a good exercise. PIMD: [00:24:35] You know what came up recently is we started you know we were revising our trust and we’re talking about these issues. And you know one thing I realized is if somebody is totally out of the loop like my wife in terms of our investments to kind of explain what we’re doing this this or that and say How do I find this thinks of something you know something happens to you. And so I was like You know I understood the importance of actually having that discussion having both partners know exactly where the finances are coming from where they’re going where can they find out this kind of information. So that’s something I definitely recommend that people kind of talk about. WCI: [00:25:10] OK. Next few questions are a little bit more about blogging I think which I don’t want to spend too much time on. I think that was actually one of the criticisms of the blogger panel that the White coat investor conference was it wasn’t enough finance and it was too much about blogging. But a lot of people were asking blog stuff so let’s let’s do a couple of blog related questions. Here’s one from Wanka 31 with the saturated physician blog market currently. What would be your side gig project or hussle if you were starting one today. PoF: [00:25:41] I See myself starting a brewery someday I think of a ton of fun and I know a little bit about the business side of it. So that would be one possibility. And I’d also look into real estate sort of thing and fortunately have a site like PIMD to learn all about it. WCI: [00:25:58] So booze and land huh? PIMD: [00:26:07] I mean I’m doing the real estate thing you know doing the blog but I’m going to do one. Well it seems like the most fun today is that it’s being a social media influencer. I mean I just when I see when I see other physicians doing this and they seem to be having a great time they’re taking pictures they’re interacting with people than getting paid for it. PIMD: [00:26:26] And I don’t think I’d be good at it. But that one just seems like the most fun to me right now. PoF: [00:26:31] And we need to talk about that in our business meeting later that sounds like something I might enjoy as well. PIMD: [00:26:38] People that are traveling are getting paid to travel or go to these places or shop or do these kinds of things to get paid for it looks awesome. PoF: [00:26:47] Yeah. For me I’m just not getting paid to do it. I got to fix that. WCI: [00:26:52] Yeah for me it was real estate my plan from the beginning if I wasn’t making a thousand dollars a month within two years with the white coat investor I was going to quit and go do real estate. WCI: [00:27:01] And and you know I’m glad it worked out but it just barely worked out. You know that’s about what I was making two years into it. So you know there’s a lot of great things you can do that aren’t blogging. And if I looked and saw that there were 80 physician financial blogs in the niche I don’t think I’d start with I’ll be honest. WCI: [00:27:21] Okay next question is kind of related to that. And we actually got this one from two separate people on the forum. Basically they’re asking if a physician without a serious money producing bloggers side gig you know does your advice. Is it still germane. 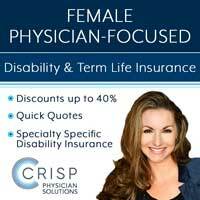 Can you still retire early without an outside income source you know or what advice would you give docs that are considering fire without the supplemental blog income. Why don’t we have you start with this one physician on fire. PoF: [00:27:53] And I’ll say absolutely. You know it really just boils down to do you actually believe in the concept of a safe withdrawal rate. And do you believe that you have the ability to control expenses are going to be. But you know it’s fun. It is extra money but I donate half my profits you know. So if you if you believe that you can make your money last with let’s say a three and a half percent or more withdrawal rate and I believe you can and there’s evidence to support that then absolutely you don’t need a lick of a side gig or a blog or on anything else. And the same thing with passive income if you have passive income coming in that exceeds your current and presumably will continue to exceed your future expenses then yeah you can totally do it. And it’s anything actually do. It was just that extra. WCI: [00:28:44] All right. Next question comes from ENT doc. And this is directed at both of you saying white coat investor recently quoted his annualized returns has 293 percent in physician on fire and 2500 percent in passive incomeM.D respectively. They want to know what your returns are? WCI: [00:29:01] I’m not sure this question can actually be answered given that it’s earned income for you but you want to take a stab at that? PIMD: [00:29:09] Maybe for physician on fire. Yeah that’s the best one. PoF: [00:29:12] You know share what my portfolio returns are and they’re pretty darn close to the returns of the S&P 500. I always kind of compare and contrast and they’re pretty similar with 1 percent or so typically and my return on investment on PIMD is the same as yours. WCI: [00:29:30] Yes it’s been quite a good return hasn’t it. I got to love getting passive income from passive income MD. PIMD: [00:29:37] I’m happy for you guys. Honestly though my returns here is not. You’re right I don’t have anything monetary to show for it but honestly just being part of the network being part of this community learning from you guys. I mean the returns have been obviously amazing. You know it’s obviously increase the income of the blog the readership and even just my enjoyment of it overall. So it’s been great guys. WCI: [00:30:02] All right physicians on fire you mentioned the S&P 500. So let’s take a question from the White coat investor Facebook group. This is from KE Tom who asks considering there was a phenomenal amount of debate on this question post Why do you recommend investing in the S&P 500 by default instead of any other index? What makes market cap weighting so special when it overweight tech so disproportionately with potentially unnecessary sector concentration risks in a potentially late economic cycle and prolonged long term debt cycle? What to factor in when considering Vanguard thinks expected real returns on equities will be very low in the next 10 years. That’s really two questions there. Anybody want to take a stab at that one. PoF: [00:30:45] Go with recommending investing in the S&P 500 by default. I don’t do that. I don’t think Jim does. I do talk some about the 3 fund but we all have the total stock market which is about 80 percent S&P 500. But I don’t really think it makes that particular index special. 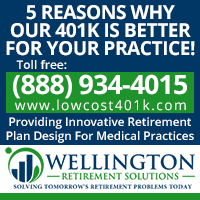 It is the 500 largest U.S. stocks publicly traded and it makes cap weighting so special. I don’t know that it is super special. It’s just that you’re going to own each the portion they have value is determined by people trading both stocks. WCI: [00:31:26] Yeah I mean I don’t use the S&P 500 index unless I’m doing some tax last harvesting. I prefer Total Stock Market Index Fund. I’ve written a post before about my favorite mutual fund. It’s the Vanguard Total Stock Market Index Fund. I’ve held it basically the whole time I’ve been at least a knowledgeable investor. And so I think this is a common criticism of index investing. You guys just invest in the S&P 500 and that couldn’t be further from the truth. You know I’ve got a bond index fund. 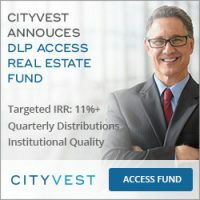 I’ve got a real estate you know real estate investment trust index fund. I’ve got small value index funds I’ve got international index funds I’ve had emerging markets index funds you know. So I’ve got all kinds of index funds that are things you know. And so I think that’s a false criticism of index investing that people are just investing in the S&P 500. I mean technically the S&P 500 isn’t actually the 500 biggest companies it’s you know in some ways it’s actively managed. I mean there’s a committee that chooses which companies go into the S&P 500 and which ones come out. I think they rearrange it once a quarter or something. And that’s part of the reason I don’t really like that index that much to start with. WCI: [00:32:33] But I think the question here is diving into something a little bit deeper. This idea he’s hinting at that we’re late in the economic cycle and we have prolonged long term debt cycle and when people start asking questions like those what they’re really getting that is what’s going to happen in the future. And one thing I love about index investing and particularly cap weighted index investing is it doesn’t require you to predict the future to be successful. You’re basically buying the market and you get the market’s returns. Now might there be other ways to invest. There are almost surely better ways to invest but it’s difficult to identify those in advance. And so I think your best default investing method is using capitalization weighted index fund because that is giving you the market return. You know that you’re going to beat over the long term 90 percent of other investors. And so I think that’s a great place to start. And I think we shouldn’t be quick at all to throw that out in favor of some of these you know equal weighted index funds which are really just tilted your portfolio to small and value stocks. WCI: [00:33:45] Let’s move onto the next question. This one I think would be best for passive income M.D to take. This comes from Joseph Brown on the white coat investor Facebook group. Buying a real estate investment trust versus buying a rental property. 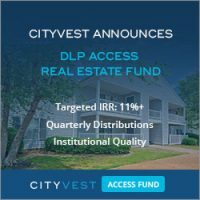 I always felt I was missing out not owning rental real estate but it seems a good dividend reit isn’t much different than buying a property. the property can appreciate. So can the stock both can tank. Your thoughts? PIMD: [00:34:11] Yeah we get this. I mean I’ve seen this question a bunch. You know what’s better Reit or Rental property? And I think the answer really goes back to what your what your goals are. And I think they’re totally different. I’ll be honest with you and it’s kind of unfair to compare the two. I mean just go for some pros and cons real quick. I think when you’re talking about a reit the pros there are that you know it’s there’s the liquidity factor. So you can buy and sell that thing publicly it’s easy it’s diversified which is great. And it’s definitely more passive. Right. We don’t spend as much time kind of managing the situation. The thing is though. It is. I mean to me it correlates with the stock market everything that I’ve seen. And the problem is you don’t get some of the great benefits of owning rental property which is I mean the tax I mean some of the tax benefits. I mean amazing. You know there’s a ten thirty one exchange there. There’s the whole depreciation factor and you’re missing one of the biggest things which is for me one of the big pluses investing in real estate is the concept of leverage. PIMD: [00:35:16] I know Jim you’ve talked about that being like a two headed snake. I’m sure it can work against you. But I mean I also think it’s one of the greatest things of investing in real estate. One of the greatest advantages this is the fact of using leverage to really help multiply returns and then you really have control over it yourself. And there’s something nice to kind of being able to control the asset. In my opinion yes. You don’t get the liquidity yes you don’t get the diversification. But I think for me personally when I look at overall returns and kind of developing and building wealth I really think there’s no better way in the real estate sector than to buy rental property. Now that doesn’t mean I won’t invest in a reit or I won’t invested real estate funds or syndications or something. And crowdfunding. I’d like to do all of them. So I don’t really necessary see one versus another. I mean they definitely have their advantages and disadvantages. What do you guys think? WCI: [00:36:19] I think you just got to realize these are different animals. You know they’re not necessarily substitutes for one another. And but here’s what people don’t realize is there’s no called strikes in investing. You don’t have to invest in everything you know I don’t invest in currencies I don’t invest in options I don’t invest in precious metals. I could do an entire blog post on the stuff I don’t invest in. So I don’t know why someone would feel like they had to invest in both Reits and direct real estate and syndications. You know I mean maybe if you’re writing a blog about it you want to invest in a little bit and all these different things. But that’s the only real reason that I think. you might as well pick what you like best and stick with that and realize that yes diversification is important. And yes I think real estate is a great asset class but you don’t have to invest in real estate in every possible way you can in order to get the benefits of that asset class so I think you can pick and choose a little bit. And if you prefer having a lot more liquidity and diversification then maybe you lean toward a reit. If you like having more control over your investment and a few more tax advantages and don’t mind the hassles that come with direct ownership. Maybe that’s the direction you want to go in. 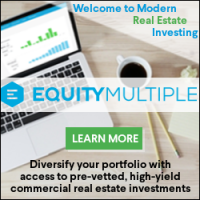 PoF: [00:37:23] You know it’s at Reits Vanguard Index Fund lost I believe seventy eight percent of its value Back with the housing crash. And you know not many rental properties would have lost much of their value. 50 percent. Yeah easily. But also those rental properties continued to have rents that probably didn’t change that drastically whereas of course the dividend from the Reit fund went down right along with the value at 78 percent. WCI: [00:37:50] Yeah. Thanks for. Thanks for that reminder. That was a really pleasant experience. PIMD: [00:38:17] Yeah I think this is going to be definitely different for the individual. I mean I live in a high cost of living area and and in terms of net worth my just over time is the fact that it’s appreciated quite a bit. It’s kind of disproportionately gone up versus some of the other assets that I have and that’s not really something I can control. It doesn’t mean that I’m going to go ahead and go out there and necessarily change where I live to the alter that. PIMD: [00:38:44] I actually am a little bit probably different from you guys in the fact that I’m definitely going to be a little bit more. I prefer to be weighted a little bit more real estate. You know I cringe. I don’t know. I see when I see people talking about 10 percent in alternate vestments and they put real estate in there. To me that doesn’t. It’s not something that I necessarily subscribe to. I personally am at least at least 50 percent if not closer to 60 to 70 percent real estate. And that’s just something I’m comfortable with. 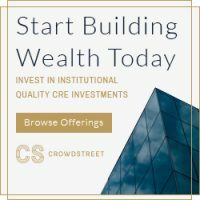 I consider that a business in a way just especially the real estate investments that I have something that I can control and I feel comfortable with that versus some of the other assets you mentioned like stocks or bonds. Who knows. By the end of this I might be 90 percent in real estate and that’s something necessarily I recommend to everybody but that’s something that I’m very comfortable with. PoF: [00:39:44] You nailed it with the individual. You know where you live it ends on what you value and depends on how you prefer to invest. For me I live in a house that has low housing costs and I also have cabin and lake front property but altogether that’s less than 20 percent of our net worth and that’s just a byproduct of where we live and then how we invest most of our money for retirement. WCI: [00:40:14] Yeah in my case my retirement portfolio is 60 percent stocks 20 percent bonds 20 percent real estate. But if I looked at my entire net worth I’m about half in the White Coat investor LLC. That’s about half our net worth I figure is in the business and about 10 percent is probably in the value of our home. You know our cash needs are simply you know money that our either our emergency fund or is going to be paid out in taxes shortly money that we just made this month. That’s all we keep in cash. WCI: [00:40:45] We don’t have a specific allocation to cash other than that. But I think that’s about how our net worth breaks down. Obviously you know putting 50 percent of your net worth into a single business can’t be recommended to anybody but most entrepreneurs are pretty comfortable with that sort of networth allocation. I think just because they have control over it you know it’s the whole thing where you either don’t put all your eggs in one basket or you put them all in one basket. You watch that basket very closely. And I think it just depends on the person in which you’re more comfortable with. PoF: [00:41:17] Well and if you’re financially independent you know separate from that business then you can be as risky as you want with the other. You know that other portion of your net worth. So you know I think you want to have your own money. And you know if you treat them in a way that will last but also be somewhat safe. But with any additional money do whatever you want. Buy bitcoin. Wait I didn’t say that. I don’t want to do that. But you know you can be risky with the money that is in excess of what you need to be financially independent. WCI: [00:41:57] All right let’s move onto the next question. This one comes out of the passive income M.D Facebook group which if you haven’t checked out you ought to. All three of us now have a Facebook group so join them all. They’re all great. And there’s a little bit different personality in each of them which is a lot of fun too. But this one comes from Mike Mullins And he asks How do you evaluate the legitimacy and confirm results of a private equity firm. And let’s have you start with this one Passive Income. PIMD: [00:42:25] Cool. I mean this is definitely not necessarily easy. It is relevant though considering some of the posts that I’ve written recently about private equity funds in particular. I’m assuming that’s what he’s referring to. Number one it helps that. I mean for me personally this is how I do it. I’m part of a few investor groups now at this point since I’ve invested quite a bit and I’m able to speak to other investors that have been invested for quite a while. I mean that’s the number one thing for me. The referral, they have personal experience with how that operation runs how those operators run whether they’ve been on time with their payments and their dividends whether they follow through and stuck with what they’ve said. PIMD: [00:43:16] The other thing is you have to get a look at their history. I mean they should provide it for you. Every fund and every syndicators should do that and be transparent about that and hopefully some of these bigger funds. You’ve asked whether they’ve been audited by an outside agency and most of the legit ones are not all of the legit ones have been by some of these bigger firms like Deloitte or something like that. So make sure to ask about that whenever you’re kind of vetting out a fund. And that’s for sure that it’s been externally audited. Beyond that again part of it’s you got look at the history you’ve got it look at the actual people running the funds. One question that I always ask is if there’s a criminal history. I mean it sounds kind of crazy to do that you feel a little bit awkward but it’s important to know is there a criminal history here and a background that I need to know about. And if there’s any sort of inkling that maybe not getting a straight answer you got to check that especially you know these type of businesses in cases. But again to go back to it it really helps to reach out to previous investors and these companies will give you those referrals to call. So that’s how I do it. WCI: [00:44:31] All right let’s jump into that Physician on fire Facebook group. I’ve got a question here from Matthew Allison who’s asking I’m very intrigued with Vanguard releasing their new commission free ETF list. I would love to hear a discussion about how this affects the industry and ultimately your individual portfolios If at all. Want to take a stab at this physician on fire? PoF: [00:44:54] Sure. I am not an ETF investor. There’s not a whole lot of difference between ETFs and mutual funds. I use mutual funds and I’m happy with the ones that Vanguard offered. So right now it’s not really going to change anything for me. PoF: [00:45:09] I guess I would do a little experimentation with play money maybe. I want to be a ETF that does equal weighting. You know we had a question earlier about cap weighting. Maybe I could do a comparison invest in one versus another. It is neat that it opens up a whole lot of different ETFs that won’t cost investors anything but as a flagship member I think I got like 25 free trade before this happened so it doesn’t really change much for me. WCI: [00:45:42] Yeah I agree it’s not changing anything for me either. Maybe it’s a little bit easier to use some tax loss harvesting if you have to make two or three exchanges in a given month because the market keeps dropping but that’s really the only use for buying non Vanguard ETF at vanguard that I can really think of. WCI: [00:45:57] I prefer buying Vanguard ETF with my money that is other places besides vanguard like at Schwab where I’ve got my 401k or at T.D. Ameritrade where I’ve got my HSA. I was a lot more bummed by the fact that I had to start paying commissions there to buy Vanguard funds than I was overjoyed to find out the Vanguard wasn’t going to charge me to buy other ETF At the vanguard brokerage. But this was basically a non-event in my investing life. WCI: [00:46:25] Okay next question this one from Victor Minggona for each person, if you had to be one of the other two which would you rather be and why. 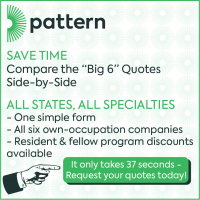 You want to take a hit at that one passive income? PIMD: [00:46:38] Oh man I thought. It’s not fair. There’s parts of both your lives that I definitely appreciate. I mean jim obviously what you’ve grown here with a white coat investor and you know you’re the life that you’ve built as a result of that. It’s definitely enviable but the physician on fire. Obviously his I mean the life that he’s built recently with all the slow travel. And that’s something that I’ve always wanted to build into my life and I just haven’t been able to do that yet. So I watch those posts like a hawk and I’m trying to figure out how he does it. And honestly that sounds like an amazing life to me. Both. So is that fair? WCI: [00:47:25] Well I’m going to take a similar angle I’m going to say half of each right. All summer long I’ll be physician on fire and all winter long I’ll be passive income M.D How’s that sound? I enjoy the good weather year around and get to experience both aspects. This one’s pretty hard to pin down. I mean here’s the fun thing about being financially independent as you get to build the life you want. If I really wanted to go live in you know a high cost of living area and have awesome beach time and stuff like that you know that’s where I’d live. And instead I prefer living in the mountains and so I think we’ve each built the life we want for a reason and that’s one of the awesome things about financial independence and we hope for all of you listeners that you’ll be able to build the life you want such that you don’t look at somebody else’s life and go I wish I had that they have exactly what you want. WCI: [00:48:16] Okay let’s try this one. This one apparently is from a questioner, BL Quinto. I think I’m pronouncing it right. He says I think I’ve tried to ask this question to passive income M.D before but he asked What is a simple plan or path that we can all follow? PIMD: [00:48:36] You know what makes this tough. I think on the white coat investor you’ve laid it out pretty well for people through your books and your course. How to build the life that you want through this nice roadmap. Unfortunately I don’t quite have the yet for people when I’m trying to do is I mean I’m I’m the guy who’s want to try a lot of different things. I think I’m not at the point yet where I can necessarily say this is the proven path. Not that there necessarily is one. I’m trying all sorts of different things just to see what works and what doesn’t and I think out of that. Hopefully after doing this for a little while a little bit better idea of some sort of path or way for a to take a physician. Maybe right out of his. I mean this is a goal of mine anyways. Take a physician right out of residency training and say look here’s a ten year plan for you by investing in real estate and developing your own business and these kinds of things. Unfortunately it’s not that easy to do that. The closest thing I got to that in one of my posts is the concept of buying one rental property or one house a year and I come to show people what some of the numbers might look like. Now again these things vary quite a bit. I might have to revisit that and maybe try some you know a combination of whether it’s a house or an apartment building there’s variations that I might build on top of that but that’s probably the closest that I’ve seen. I mean I think if you are able to buy investment property once a year I think you’re doing something right and I think by the end of it in 10 years I think you’ll be in really good shape. So that’s pretty much how I can answer that. WCI: [00:50:22] Yeah I think it’s very difficult to write a how to manual for entrepreneurship or business ownership in general and that’s what that’s what real estate properties are. PoF: [00:50:32] Actually missing an important piece he says. What’s a simple plan to follow and they’re missing. What is the destination and what is the simple path you can follow to what? Yeah I’ll go ahead and assume financial independence and a simple plan for that is simply to live and invest the rest in something simple like a three fund portfolio and let time do it’s thing. PIMD: [00:50:57] Yeah I think so too. I mean I think you’re exactly right. When I start talking to people about this like one on one I think the first thing I asked them is exactly were what kind of life are they looking for in 10 years in 20 years if it’s five years. You gonna have to make some different moves to get there. And so I think it has to be individually crafted but it kind of starts at people’s why and what they’re looking for before you are able to create that roadmap. WCI: [00:51:26] Next question from David Driginess is where’s the best place that you’ve traveled with children? you want to take a stab at that first physician on fire? PoF: [00:51:33] The best place we’ve traveled with children and my boys are 7 and 8 years old currently. I think it was our trip to Guanajuato Mexico. eight weeks it was a slow travel that PIMD was talking about. It was low key. we didn’t need a car everywhere it was walkable. The weather was perfect it was in the 70s in the day in the 40s and 50s at night and we just had a great time as a family and learned a lot and just pretty cool stuff took in Spanish language classes and we would go back in a heartbeat. PIMD: [00:52:10] So we have almost five year old and a 2 year old so we haven’t really been too adventurous in picking really cool spots to travel as a family especially with that 2 year old. Those with kids Now how painful a long plane flight might be. But actually the best place that we’ve traveled as a family is when we went to Salt Lake City and Park City for the White Coat Investor Conference. I took the whole family. We got to go out and play in the snow together which is I mean just a unique thing for us being out here in California and especially where I live. I mean that was the best trip we took as a family and it really is amazing pictures and just a great time. PoF: [00:52:57] I think it’s so much easier when you don’t have to worry about naps and diapers. And I think I’m the only one out of the three of us that is out of that position right now. WCI: [00:53:05] Yeah well we are just about out of diapers she’s almost done our 3 year old so we’ll be there soon. But our favorite place to go with the kids is Lake Powell you know whether we’re camping or staying in a houseboat. WCI: [00:53:16] Basically when they come out of bed we put a lifejacket jacket on and forget them for the rest of the day. You know they can do whatever they want and they love having that kind of free time. There’s no screens around it’s you know beautiful mother nature and it’s also a lot of fun boating and playing in the water and just having adventures so that’s where we like take the kids. WCI: [00:53:35] And we’ve we’ve had them all over the place. But I think it’s pretty hard to travel internationally with small children. So I kind of like the stuff that’s a little bit closer to home. WCI: [00:53:46] All right just time for a couple more questions. Let’s take this one from Life of a med student. 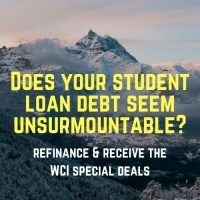 WCI: [00:53:53] With the increased market valuations and many projecting below average returns the next decade would you more strongly recommend paying down student loan debt over investing in a taxable account. After all your tax advantaged accounts are maxed out. I’m currently doing 60 40 but I’m conflicted. PoF: [00:54:12] I think its great he’s doing both and I mean I do think paying down debt is a great thing to do. It’s a guaranteed return. The fact that valuations are relatively high period in history and people like Jack Bogle saying that returns will be lower over the next decade and they may very well be right. So but he’s doing both. He’s doing 60 percent taxable 40 percent student loans. You want to flip that I don’t think that would be an issue. But you know most people paying down their student loans aren’t even thinking about taxable account if they are even maxing out all of the tax advantage space they have. So kudos to to Charlie. WCI: [00:54:56] I think that’s perfectly reasonable thing to do. Honestly though if you’re maxing out your tax advantaged accounts I’d just throw the rest at your loans. But I’m a little more anti debt I think than most people. I just think people make different decisions in their lives when they’re done with their student loans. I think that’s something you really ought to get rid of early in your career. Hopefully within the first two to five years and I’ve had lots and lots of white coat investor listeners and readers that have done that I know it’s entirely possible you just have to set up your life so you can be done with it that way. There’s plenty of time to invest in a taxable account later. 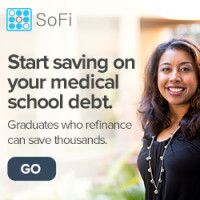 I think your first few years out of residency are the time to get rid of your student loans. Now if you got them a one point five percent or something maybe you can justify investing in taxable account. But if you are a pretty standard 6 and 7 percent student loans that’s a fantastic guaranteed return on your money. You know you’re not going to get that out of any sort of conservative investment. You might as well pay off the loans as I see it. WCI: [00:55:56] Let’s do another question here. Let’s make this the last word. I think we’re pushing up against an hour for this podcast already. This one comes from Rich MenAnnaik. Do you think that being born into wealth was integral in shaping your financial literacy? Considering that your children likely will not have the same financial pressure you experienced. What approaches are you planning to take in teaching them financial stewardship? And why don’t you start on this one. Passive Income. PIMD: [00:56:23] Well actually I was born into a physician family so living in the suburbs of Maryland in a pretty nice area. I guess I was I was born into wealth. You know it’s but it’s funny because I think I suffer. I think I’m going to deal with that I dealt with the same things that my children will have to deal with if I am not smart about how I teach them about finances. I mean I actually never spoke to my father about finances growing up. I don’t think my children will have that same issue with me. I think I never learned about credit card debt. If you read some of my stories I got easily got into tens of thousands of credit card debt. While I was in college especially to med school and that’s something that I’m definitely not going to let my children get into it possible. I think I’m going to teach them a little bit early on about the whole concept of saving money giving money. Those three buckets I think I forgot where I read that but it’s a book that they talk about three buckets of having money where you know they’re able to earn money. They have to save some of it and also give some of it away and I think that’s an awesome thing for children to teach them at an early age. I mean we’re not there yet. She’s only 5 years old but yeah I mean I think for me I think I went through the challenges of having the same that my children will go through as well. So luckily and hopefully I’ll be better about it. PoF: [00:57:54] My answer is probably similar. My father was a dentist. Classic millionaire next door type. So we definitely shopped around for good used cars and went thrift stores. And my dad did talk about money. You taught me the rule of 72, brought me to a financial advisor and he showed me what the future value of x amount of dollars invested per year will be in 30 years and the a compound interest and all that. PIMD: [00:58:25] For my children were doing the give, save, and spend. And I did read that same book which escapes me. But it was good. And I also have what we call the bank of mom and dad and the spreadsheet update monthly. They started getting pretty good amount of money in their piggy banks and so we put it on a ledger instead of the balances number on a spreadsheet and every month they get 1 percent interest from us. Want to spend some money we take from their accounts and pay for whatever it is they decide to spend money on but we have that conversation first. PoF: [00:58:58] We’re very open about money. They’ll know about my site and when the time is right and yeah I think they’re going to be in pretty good shape. WCI: [00:59:07] Yeah I mean this is something I can really relate to the question I certainly came from middle class family but there wasn’t a lot of extra money sloshing around for sure. My father was an engineer and my mother was a stay at home mom. You know my wife Katie her father was a military officer and her mom was a teacher and a stay at home mom depending on the time in the career. So neither one of us really came from a lot of money and neither one of us got a ton of financial teaching and so it’s really been an experience to kind of learn all of this on our own and I think there’s a lot of doctors out there that can relate to this. They just you know they’re first generation rich really and so some we worry about a lot. how we can teach our kids to be just as good with money without them having to go through the experience of donating plasma for food money in college. You know which I don’t necessarily want them to have. And so I think part of it is instilling financial literacy in them. So we’re always teaching them about finances. You know they all know that they want to be paid interest not be paying interest and you know they’re well versed with things like mutual funds. And those sorts of things long before they ever even get into high school. So I think just teaching them the basics of finance is worth a lot but I think there’s also an important aspect here of providing a good example and part of the way we do that is when it comes to giving. And we have a year end annual giving meeting where we all sit around the table and decide what organizations we’re going to give money to. And I think realizing that money is something that isn’t necessarily to be hoarded or to be spent on yourself but something that can enrich the lives of those around you is really passing on values that I think the kids will appreciate and hopefully that will help them to have a good a good sense of money as they get older. They will neither be Scrooge’s nor spendthrifts and hopefully find some sort of middle ground. WCI: [01:01:03] Well I thank you both for being on our podcast today. I think this will be a great one. I’ve got at least half our questions still left here that we didn’t even touch so maybe we’ll have to do a part two down the road of these. But I appreciate you both being here and for those who want to learn more about passive income M.D go to passive incomeM.D dot com. Also be sure to join his Facebook group there and if you would like to learn more about early retirement and financial independence from the physician on fire check out physician on fire dot com and join his facebook group Physicians on fire and as well as his other Facebook group he’s got two, also called fat fire which kind of refers to retire in on a little bit more than a bare bones retirement. But thank you both for being here today and we’ll see you next time. PoF: [01:01:50] Thank you so much for having us. It was a great chat. PIMD: [01:01:52] All right thanks. All right take care guys. WCI: [01:01:57] Today’s podcast is sponsored by nomad health. Nomad is a fast easy online way to find great doctor and nurse jobs. Looking for a freelance locums gig? Come to nomad. Looking for a new full time job? come to nomad. Looking for a travel nursing job? come to nomad. And best of all there are no brokers. It’s all online self-service and totally transparent. No more phone calls and spam e-mails from agency recruiters. You can check out nomad at nomad health dot com. WCI: [01:02:22] Be sure also to check out physician on fire at physician on fire dot com and passive incomeM.D at passive incomeMD dot com. You can also join all three of our Facebook groups. The physician on fires group as well as passive incomeM.D community those are both physician only groups. And then of course the white coat investors group is open to all high income professionals and their spouses but not to finance professionals. WCI: [01:02:51] Thank you for what you do. Keep your head up and your shoulders back. You can do this and we can help. See you next time. 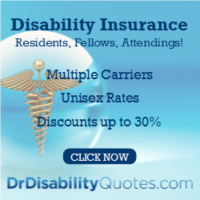 Disclaimer: [01:02:58] My dad your host Dr. Dahle is a practicing emergency physician blogger author and podcasters. He’s not a licensed accountant attorney or financial advisor. So this podcast is for your entertainment and information only. 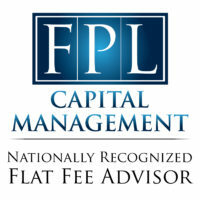 And should not be considered official personalized financial advice. Great podcast and very cool to have all 3 members of the WCI network on. Definitely a meeting of the minds. Just to add to the keeping the spouse in the loop financially, I just read a great repost originally written by dads dollars and debts titled A Letter To My Widow. I never thought of it before but it was a wonderful way to give a written financial plan to your surviving spouse along with time frame of what to do etc. Excellent blueprint and honestly every one should consider doing it. Glad you enjoyed our talk! Regarding the Letter to my Widow, we’ll be doing something similar — I recently featured a legacy binder that we plan on filling out this fall to achieve that aim. It is awesome to hear the Terrific Trio together. You guys are doing important work. I agree about the value of a good book and the library. I can’t even calculate the astronomical ROI from my tiny property tax payment. It is a bit like a gym though. I bet 5% of the users account for about 85% of the activity there. The rest help keep our costs down. My library branch is so good it has not one but two copies of the White Coat Investor! It is also good to hear about PIMD’s investing philosophy. I’ve been comfortable with my asset allocation of 40:40:20 (stocks, bonds, other) for quite some time. I’m not eager to buy a lot of stocks right now though. I know you can’t time the market but I can still be too cheap to pay a high price for a share of a company can’t I? At any rate, if I keep increasing my real estate, my percentages will change. I’ve been wondering how much is too much? I’m glad others out there are okay with having a lot or most of their wealth in real estate or in a private business rather than just index mutual funds and ETFs. It has treated me well over the years with all the appreciation, asset and timing control, depreciation, loan reductions, tax benefits, and cash flow. As I get later in my life and career the stability and cash flow and tax benefits seem to become more important. Thanks for your thoughts on my taxable vs debt question. Leaning more and more to increasing debt payoff but I liked the flexibility of taxable and potentially higher returns. 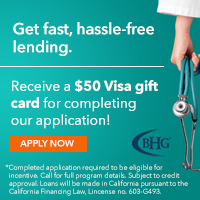 I’ve got the loans refinanced at 3.25% fixed over 5 years, if I don’t put extra toward it. 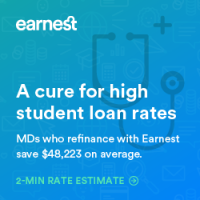 Right now adding about $1000/mo extra, with $5k/mo to taxable now that my all my tax adv is filled up, ends up being about $60k to loans and $40k to taxable per year as planned to meet the goal of 20-25% gross to retirement. I think I’ll keep adding to the taxable account through this year. Then switch to total debt destruction next 2 years and maybe toward the finish line I could just liquidate my taxable to finish the loans if the market doesn’t tank between now and then. Loans would be paid off in <3 years vs 5 that way. Appreciate any others comments! Wonderful episode with three amazing guests. My question is for Jim. You generally discourage investing in single stocks (preferring diversified mutual funds); however, you mentioned half of your net worth is concentrated in The White Coat Investor, which is one private business, akin to one stock. To someone who has concentrated assets as a path to wealth creation how do you square that circle? Certainly broad based and diversified investments and index investing will provide better returns than the vast majority of investors, including professionals, but index investments can’t beat the market. Concentrated investing can — it can also lose a ton as well. Your thoughts? Again, awesome show and keep up the great work to all! # 1 Don’t put all your eggs in one basket. # 2 Put all your eggs in one basket and watch it very closely. The great entrepreneurs of the world do # 2. Most investors, of course, should do # 1. # 1 I know EVERYTHING about WCI, including a lot of information that isn’t publicly available. I know the salaries of all the employees, all the sources of income, all the expenses, all of its competitors, the vast majority of the threats to its businesses etc. In fact, I would argue that no one on the planet knows this business as well as I do. Plus, I have absolute control over the business. None of that is the case with me owning a big chunk of Apple stock. # 2 I am extracting money from WCI as quickly as possible and investing it into a diversified set of investments. I’m not putting money into it. I “reinvest” little of its earnings. I know this is a MAJOR risk in my financial life and I’m doing what I can to minimize it.